An officer with the Anderson (Calif.) Police Department suffered non-life threatening injuries in an incident on March 26, as his ballistic-resistant vest saved him from more serious injury. The officer was investigating a report of a stolen vehicle at a local motel when the shooting occurred, a department spokesman said. Investigators have given a warning about the lack of security on a new app popular with young people, Live Me. An officer from the Benton County (Ark.) Sheriff's Office and a reporter recently created accounts on the app and immediately gained access to details such as teens' age and location. Any user can gain access to any other user's livestream without being added to an account. South Sioux City, Iowa, recently began offering its law enforcement officers a choice of continuing to use a traditional internal carrier for their ballistic-resistant vests or using uniform allowance funds for one of two new external carrier options. Some officers prefer to continue to wear the vest underneath the uniform shirts, while others opt for a new-style carrier that resembles the uniform shirt, goes on top and can be removed in appropriate situations. The other external option allows the officer to wear equipment such as firearms on the carrier instead of the traditional duty belt. In Corvallis, Ore., every shotgun owned by the police department has been converted to fire "pancake bullets" made by Integrity Ballistics. Fired at roughly one-third the speed of a standard bullet, the synthetic polymer ball rounds "pancake" on impact and are designed to incapacitate suspects without killing them. A department spokesperson does caution that the rounds are "less lethal" and the potential for certain types of fatal injuries still exist. Richmond (Va.) Police Chief Alfred Durham has stated that in a budget crunch between equipping all of his officers with body cameras or installing a ShotSpotter gunfire detection system in one of three high-crime neighborhoods, he would choose to go with ShotSpotter. The chief has characterized use of the ShotSpotter system as "a matter of life or death." A group of five cities in Summit County, Ohio, has received a half-million dollar grant from the State of Ohio Development Services Agency toward the purchase of a consolidated computer-aided dispatch software system. The system will process both traditional 911 calls and Next Generation 911 services, which include cell phone texts. Officials say the consolidated system will increase efficiency. The Federal Communications Commission has voted 3-0 to ease restrictions against the use of "cellphone interdiction systems" by corrections facilities. The order reduces paperwork and requires cellular carriers to work with the corrections system to block signals. Contraband cell phones have been linked to a number of illegal activities in facilities nationwide. Watchtowers in Prisons: A Thing of the Past? The Illinois Department of Corrections plans to use security cameras in place of watch tower guards at 23 medium- and lower-level prisons. The plan should save the state approximately $4 million. Staff would not face layoffs, but would lose overtime. In an attempt to cut down on smuggling synthetic drugs into correctional facilities by coating mail, inmates in West Virginia's 10 regional jails now receive photocopies of all mail rather than the originals, which are shredded and destroyed. Inmates also receive copies of photos, with the originals stored for them until their release. A similar program will soon go into place at state facilities as well. Starting in spring 2018, the University of Vermont will participate in the Consortium of the Liberal Arts in Prison. The program, which originated at New York's Bard College, enrolls inmates in state prisons in traditional liberal arts courses at Chittenden Regional Correctional Facility in South Burlington. The New York State Department of Corrections, in an attempt to cut down on the amount of contraband reaching the inside of its facilities, plans to no longer allow visitors to bring packages to prisoners. Items will instead have to be sent through "approved secure vendors." Officers search packages brought during visits or received through the mail, but feel that contraband is still reaching inmates. 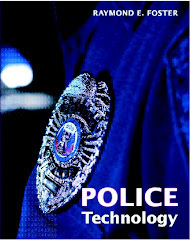 NIJ has released Pursuit Technology Impact Assessment v1.1, a research report produced by the National Criminal Justice Technology Research, Test and Evaluation Center, part of the NLECTC System. The report presents an independent assessment of the StarChase remote vehicle tracking system, and can be downloaded from https://www.ncjrs.gov/pdffiles1/nij/grants/250549.pdf. NIJ is one of the largest federal stakeholders to support basic and applied forensic research and development. However, there are other venues that offer support to the community whose mission aligns with that of NIJ. The FTCoE developed a report to give a brief landscape of other agencies' research and development funding opportunities, which provides the forensic community with documented sources associated with agencies that have requirements and funding available to further the field of forensic science. The final report can be found at https://rti.connectsolutions.com/p16xm3610wr/.